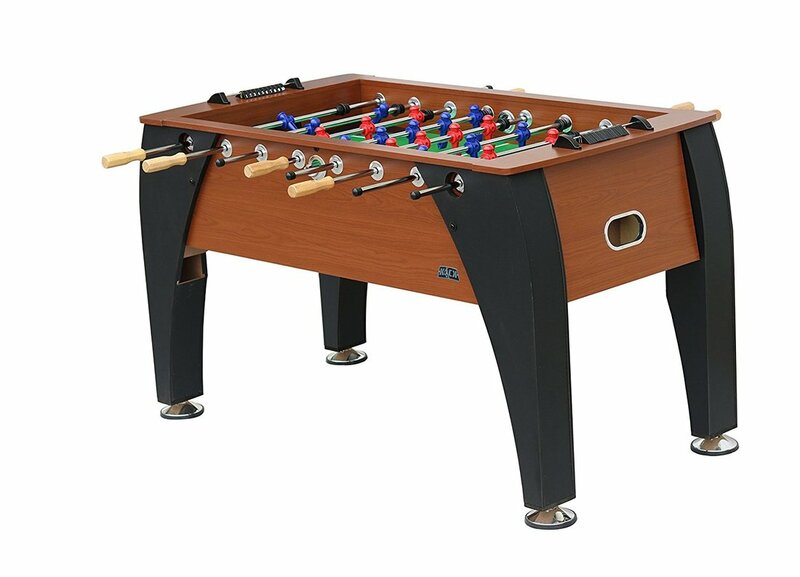 With its swooping lines and warm chestnut color, you can see why the KICK Legend 55" Foosball Table is the best-selling piece in our collection. The fine wood grain complements any decor that everyone in the family will love while the ebony legs add a touch of grandeur. Add its precise player control, excellent field play balance and specially designed, easy dribbling counter balanced Foosball men, you can be sure the KICK Legend will deliver an unforgettable game experience. Enjoy two sets of players in black and yellow and 1- or 3-man goalie. Be the Foosball legend you have always dreamed about with the KICK Legend Foosball Table!